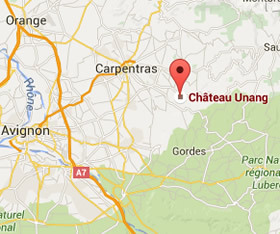 In 867, the Bishop of Venasque was given Château Unang by the King of Provence. The nearby village of Venasque was the capital of the Comtat Venaissin until 1320, when the seat of government moved to Carpentras. The Venaissin state (comtat) was an independent enclave within France that came to house the Roman Curia and eventually gave rise to the Wine of the Pope, ie, Châteauneuf-du-Pape. For over 800 years Unang was passed down from one bishop to another, until it was sold at the end of the 17th century (Papal control of the Comtat continued until 1791, when France absorbed the enclave). It is assumed that since the 9th century, a cross has stood on top of Unang’s hill. In the late 18th century, an Italian aristocrat married into the family that owned Unang. Subsequently, the château was spruced up with a facelift, and a formal garden was designed to step down the hillside, following the path of a natural spring. Three terraced gardens were planted, each anchored by a fountain fed from the spring. In 1882 a six-meter wooden cross was mounted on a stone plinth on the hilltop, a restoration of the earlier cross. Frustratingly, the original date of the cross and other inscriptions in the stone have weathered away; much of that history, along with the origins of the name Unang, has been lost. 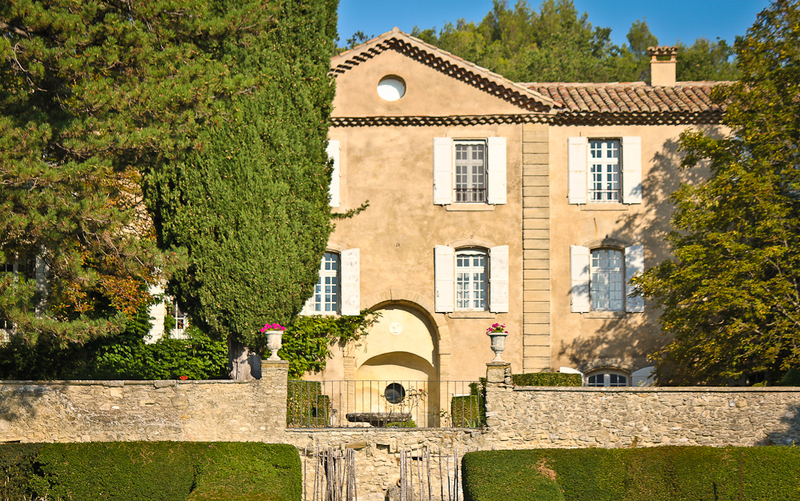 The property sits deep in the tail end of the Nesque Valley, named after the Nesque River that flows out of the high Vaucluse Plateau to the east and runs through a rugged limestone gorge. 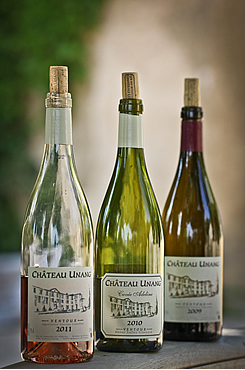 Unang is an isolated, self-contained domaine with, interestingly enough, its own geological category: les sables d’Unang. This refers to a particular type of sandy soil that lies overtop limestone. Apart from Unang’s hillside, pockets of the sands of Unang are also found in the Gigondas AOC.